Deck Mount Kitchen Faucet with Arch Spout. Crosspoint hot and cold handles. 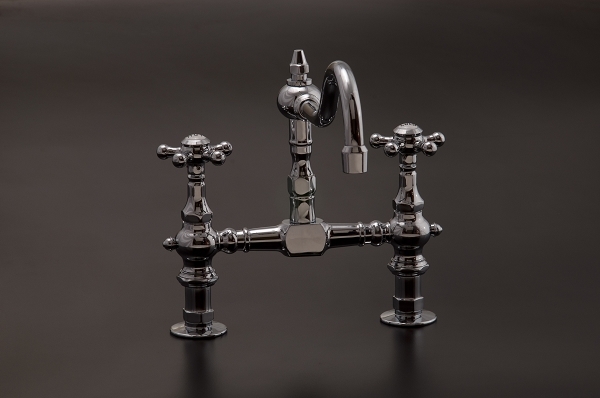 Available in choice of Chrome, Polished Nickel or Matte Nickel finish.